The Bons Vœux is a blond top fermentation beer with refermentation in the bottle. Since 1970, the brewery has been brewing a special beer to give as a new years present to their best clients. 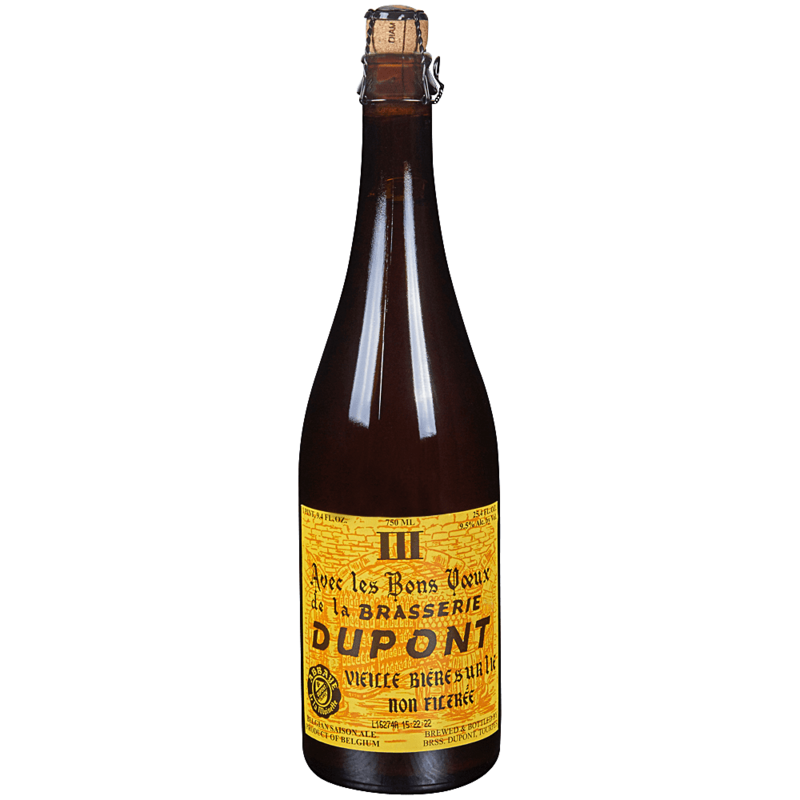 (the name of this beer “Avec les bons Vœux de la brasserie Dupont » means « With the best wishes of the brewery Dupont » ). Because of the increasing success, they started to commercialise this “cadeau” but kept the name. Although the demands were considerable, only a small quantity was brewed, so they had to make a reservation list, even months before new year.This Bons Vœux is coppery blond, has very fine hop aromas and tastes bitter, fruity and mild. Our selection of yeasts, in combination with a longduring riping process, on a “dry hopping” base, are creating a typical and complex aroma and taste. A real refermentation in the bottle, which will continue for a long time in your cellar, result in a harmonious and well-balanced beer, full of unexpected and complex aromas. The brewery is an independant business, runned by the family Dupont, specialised in the production of beers with refermentation in the bottle: Moinette, Saison, Bons Vœux. Since 1990, we have been brewing a part of the production under organic license with the Biogarantie® label: Moinette bio , Saison bio, Biolégère, Blanche du Hainaut, Bière de Miel biologique. We still do brew the traditional way and our yearly production depasses 20.000 hectolitres. You can find our beers going in export to different countries: USA, Japan, Canada, France, Italy, The Netherlands, Danmark, UK. Highly quoted specialist and recensents (M. Jackson, T. Webb, C. Deglas, J; Vandesteen…) describe our beers as very typical and traditional and are stipulating our stubborness when talking about bitterness… Our products are very popular in the States where we, on a regular base, are awarded with prices. In 1997, during the World Beer Championship in Chicago, we were nominated as one of the ten best breweries in the world.